For customers looking for a high level of automation and virtually no pre-production preparation, collagen is a great option. It can be used for everything from fresh sausage to dried products. Collagen is offered in both edible and non-edible forms and comes in many configurations and lengths. 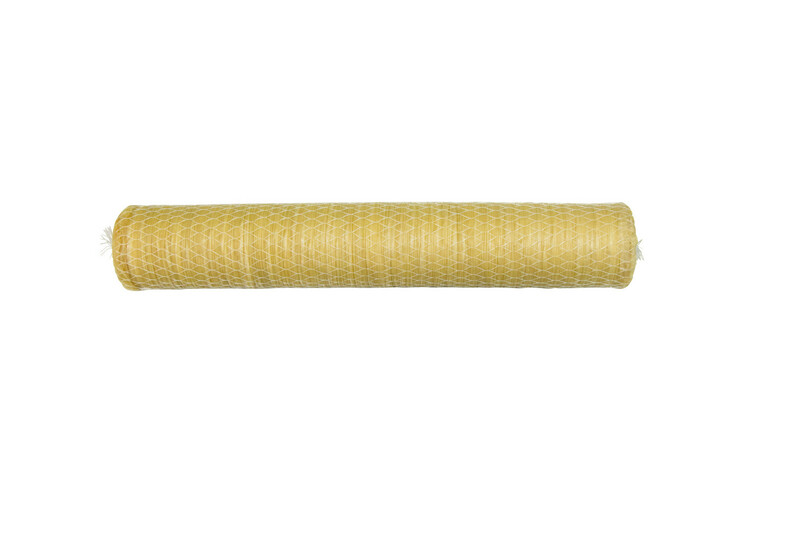 DCW carries four general types of edible collagen casings for our processers. The products include fresh, smoked, dried and colored casings. Fresh collagen is available in caliber between 13mm and 34mm. Our stock items are generally 15 meters in length (approximately 50 feet). 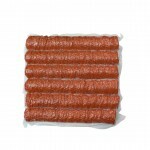 We carry two types of smoked sausage collagen casing. We offer a very tender product that is focused on customer sensory characteristics as well as a standard item that is focused on smokehouse performance. 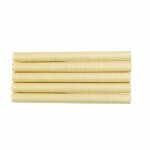 Smoked sausage collagen is available in calibers between 13mm and 34mm. Our stock items are generally 15 meters in length (approximately 50 feet). 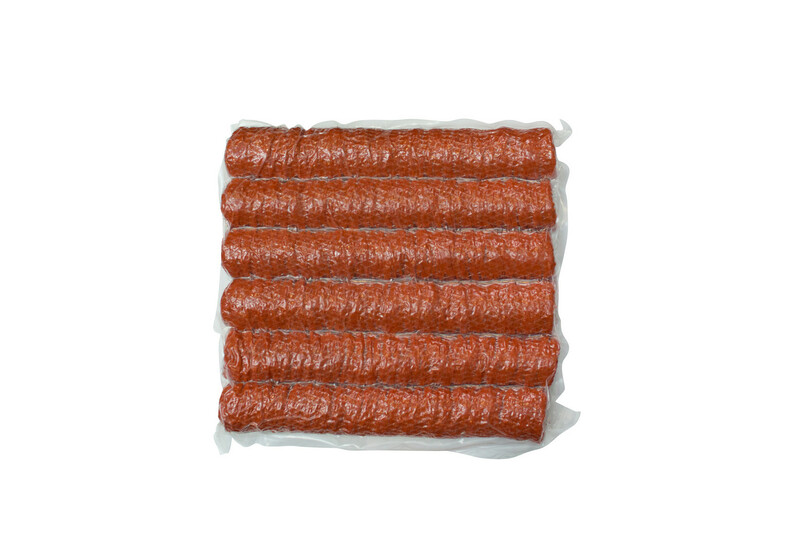 Our dried sausage offering is specifically designed for meat cling and excellent drying characteristics. This casing can also be used for customers looking for a weight bearing casing for heavy smoked sausage products. The product is generally stocked in larger calibers of 28mm and above, but can be produced in narrower calibers upon customer request. 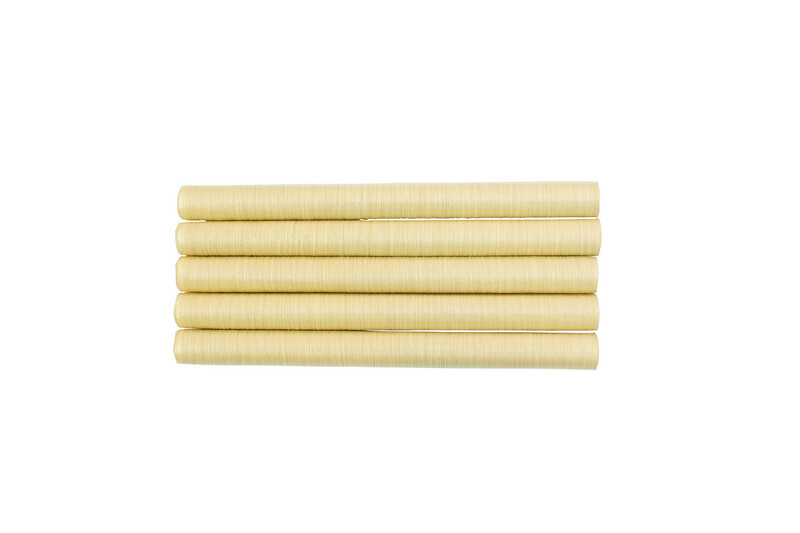 Colored casings provide snack stick producers and sausage makers the ability to enhance a desired appearance. 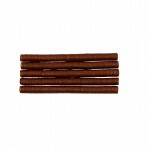 Our most common items are small caliber mahogany and large caliber red casings. We also offer an additional six colors on our edible lines to meet various color requests. Our colored casings are available in calibers 16mm to 32mm and at lengths of 15 meters or above. Traditional casings are available in calibers between 16mm and 120mm. They are offered in seven different base colors and three optional internal adhesion levels. There are two material types available: one for smoking and one purely for drying. The product can also be ordered printed to enhance the retail appearance. We provide our customers the opportunity to order the product on reels, shirred, or cut and tied. Ring collagen (sometimes referred to as curved collagen) is available in calibers between 32mm and 52mm. The product is intended to replicate a natural beef round while providing more automation and more color options. 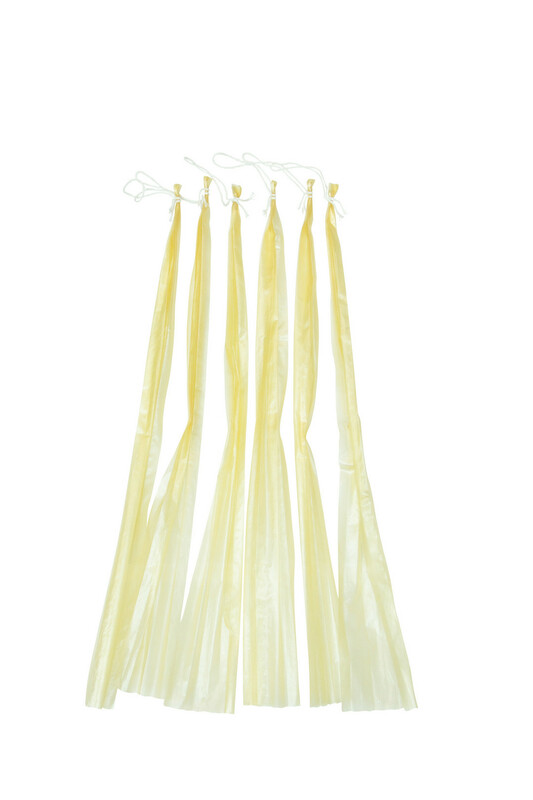 These items are generally produced shirred, and we also offer a presoaked option that allows the customer to skip the soaking procedure prior to stuffing. Ring collagen is also offered in seven colors to help enhance the outer appearance of the finished product. Collagen film and foil sleeves are used for corned and scaled products that are generally netted. A variety of items such as hams and smoked bacon can be produced with this material. Collagen film is available in sheet sizes in 400mm, 480mm and 570mm. Collagen foil is offered in 85, 115, 126, 136, 156 and 185. 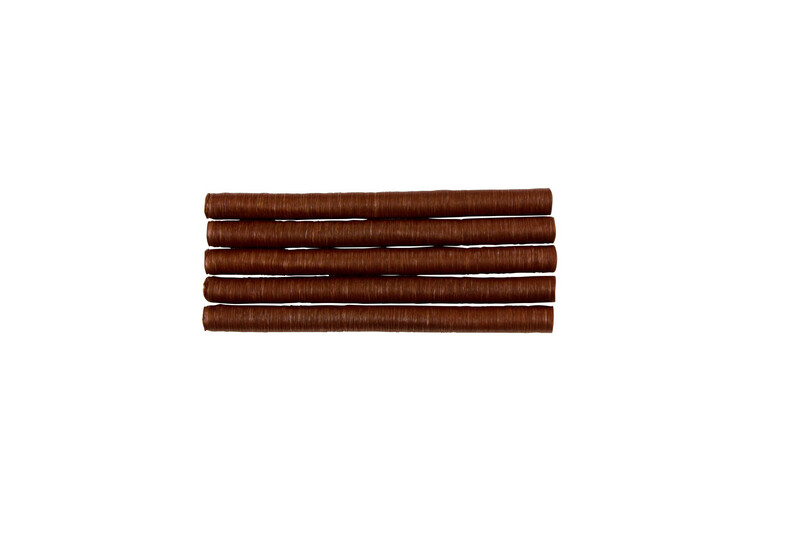 These products are available in natural caramel and onion colors for an enhanced appearance.